SHIVCHHTRAPTI TEJSTWAN | Dilip bagul | OK Listen! Shivchhtrapti Tejstwan album is dediacted to Great Chhtrpati Shivaji Maharaj. 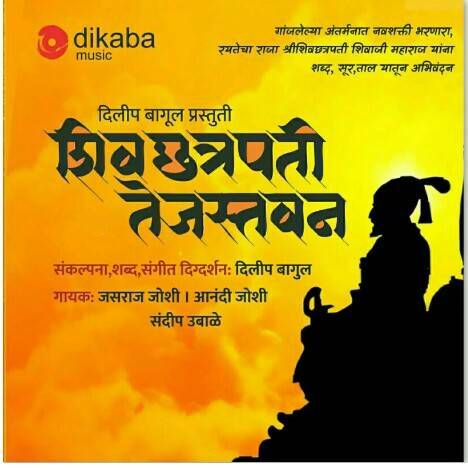 songs express pure feelings about Chhtrpati Shivaji Maharaj,who ruled "Swaraja" for common man.He gave great lesson of humanity. Singers:Jasraj Joshi Aanandi Joshi. Sandip Ubale. Lyrics: Dilip Bagul. Music composer:Dilip Bagul Music label:dikaba music.